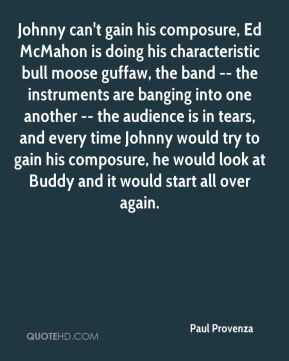 Johnny can't gain his composure, Ed McMahon is doing his characteristic bull moose guffaw, the band -- the instruments are banging into one another -- the audience is in tears, and every time Johnny would try to gain his composure, he would look at Buddy and it would start all over again. We're not too fond of time off, actually. 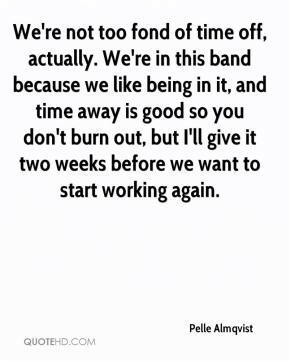 We're in this band because we like being in it, and time away is good so you don't burn out, but I'll give it two weeks before we want to start working again. 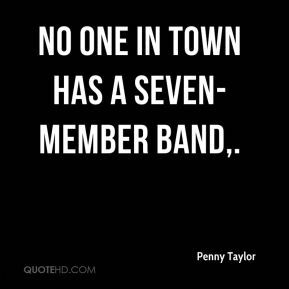 No one in town has a seven-member band. 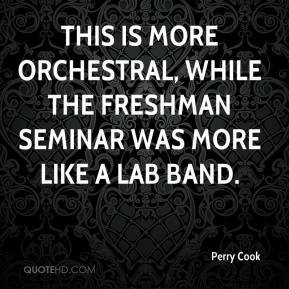 This is more orchestral, while the freshman seminar was more like a lab band. 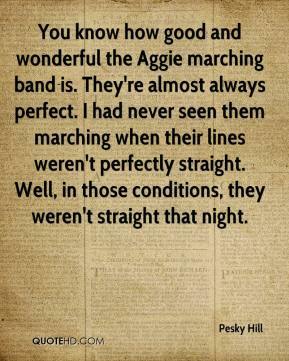 You know how good and wonderful the Aggie marching band is. They're almost always perfect. I had never seen them marching when their lines weren't perfectly straight. Well, in those conditions, they weren't straight that night. 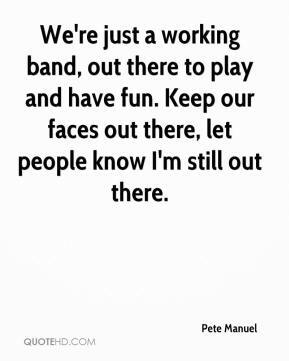 We're just a working band, out there to play and have fun. Keep our faces out there, let people know I'm still out there. It's a band that we grew up on and thought was really cool. 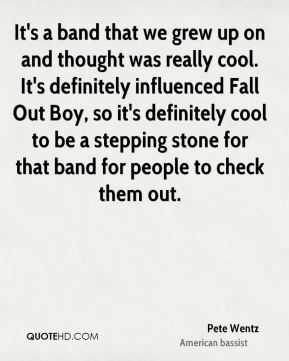 It's definitely influenced Fall Out Boy, so it's definitely cool to be a stepping stone for that band for people to check them out. 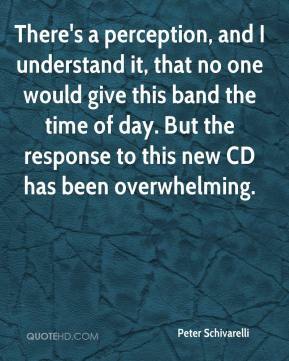 There's a perception, and I understand it, that no one would give this band the time of day. But the response to this new CD has been overwhelming. 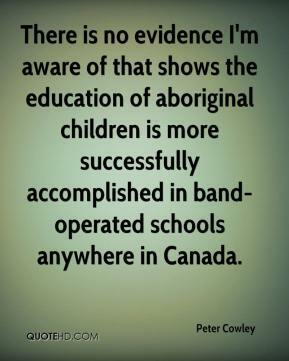 There is no evidence I'm aware of that shows the education of aboriginal children is more successfully accomplished in band-operated schools anywhere in Canada. 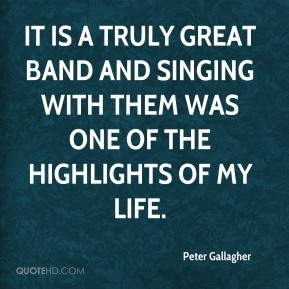 It is a truly great band and singing with them was one of the highlights of my life. It was just the last straw for me. 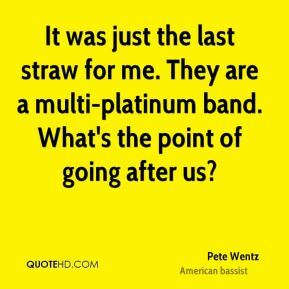 They are a multi-platinum band. What's the point of going after us? It's something we've always wanted to do as a band, just a quick jaunt through VFW halls and venues like that. We'd announce the show the night before or maybe play under some secret names. 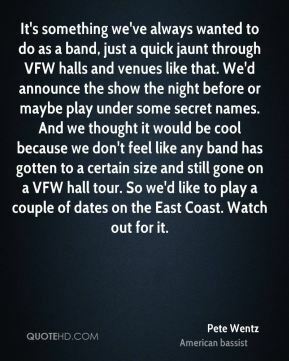 And we thought it would be cool because we don't feel like any band has gotten to a certain size and still gone on a VFW hall tour. So we'd like to play a couple of dates on the East Coast. Watch out for it. 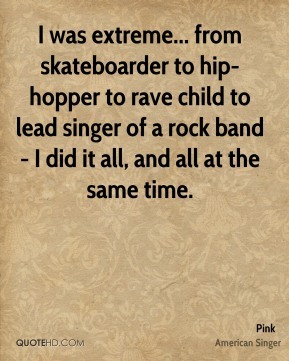 I was extreme... from skateboarder to hip-hopper to rave child to lead singer of a rock band - I did it all, and all at the same time. I started on timbales. 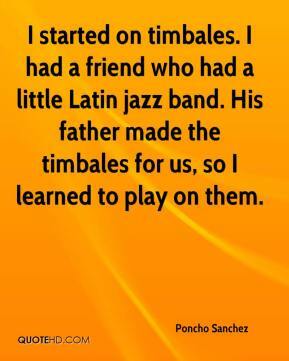 I had a friend who had a little Latin jazz band. His father made the timbales for us, so I learned to play on them. 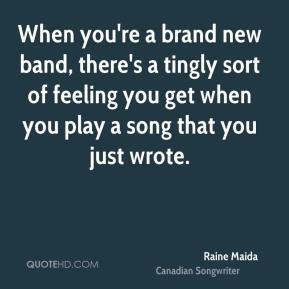 When you're a brand new band, there's a tingly sort of feeling you get when you play a song that you just wrote. I love it. 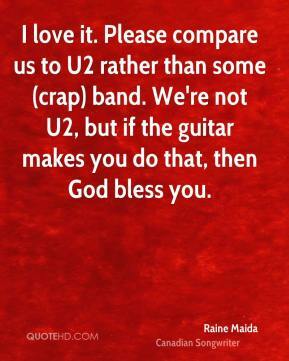 Please compare us to U2 rather than some (crap) band. We're not U2, but if the guitar makes you do that, then God bless you. 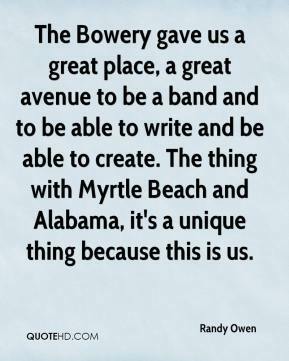 The Bowery gave us a great place, a great avenue to be a band and to be able to write and be able to create. The thing with Myrtle Beach and Alabama, it's a unique thing because this is us. 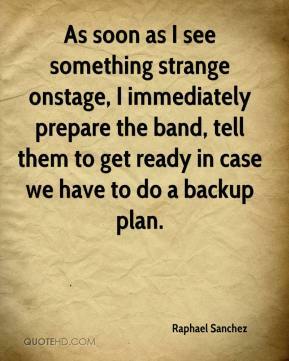 As soon as I see something strange onstage, I immediately prepare the band, tell them to get ready in case we have to do a backup plan. 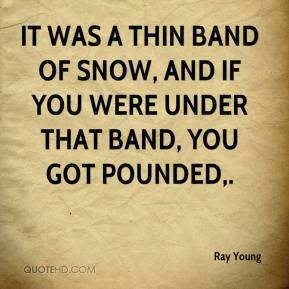 It was a thin band of snow, and if you were under that band, you got pounded. 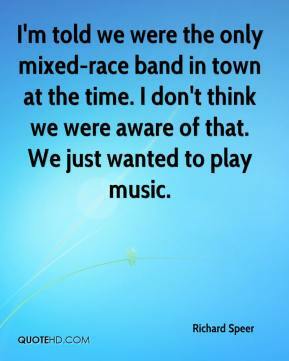 I'm told we were the only mixed-race band in town at the time. I don't think we were aware of that. We just wanted to play music. 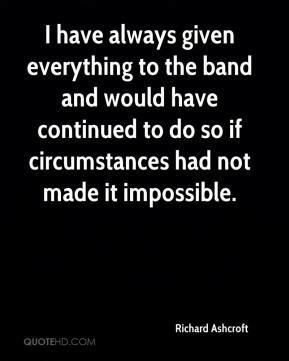 I have always given everything to the band and would have continued to do so if circumstances had not made it impossible. 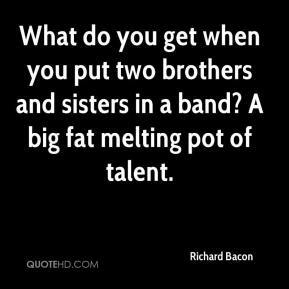 What do you get when you put two brothers and sisters in a band? A big fat melting pot of talent. 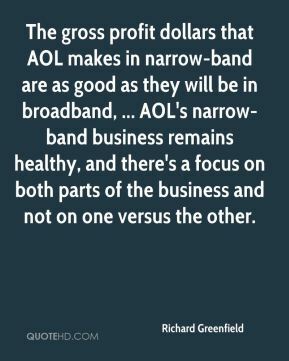 The gross profit dollars that AOL makes in narrow-band are as good as they will be in broadband, ... AOL's narrow-band business remains healthy, and there's a focus on both parts of the business and not on one versus the other. I ditched everything. 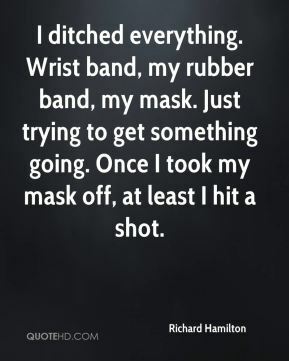 Wrist band, my rubber band, my mask. Just trying to get something going. Once I took my mask off, at least I hit a shot. 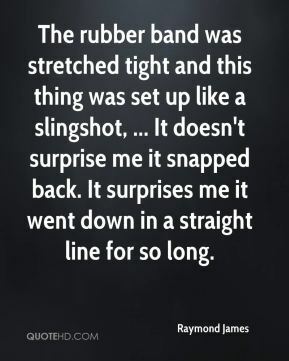 The rubber band was stretched tight and this thing was set up like a slingshot, ... It doesn't surprise me it snapped back. It surprises me it went down in a straight line for so long.